CPU will either be a Snapdragon 800/805, or an Exynos of some sort. CPU will either be Snapdragon Kuo or an Exynos chip. 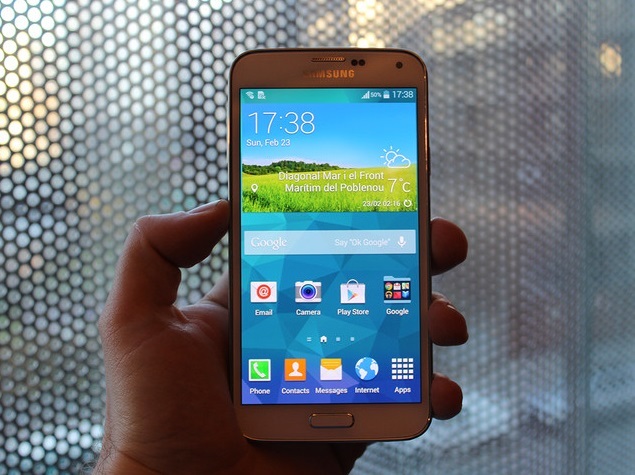 On the software side it is said to feature 4.4.2 Kit Kat, with a redesigned Touchwiz UI. Other improvements include camera app, and S voice. Also, the phone might be cheaper than it’s predecessor, how much cheaper is unclear. We’ll know more when the device is unveiled today.